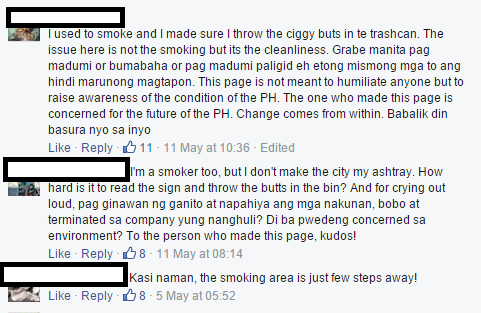 A Facebook page named Wag Ganyan PH voiced out its concerns against call center employees who were caught smoking beside a No Smoking sign. The photos were taken in front of SM Megamall where one of the largest BPO company is located; the photos reveal a lot of cigarette butts and used cups that was allegedly thrown by call center employees of Convergys. 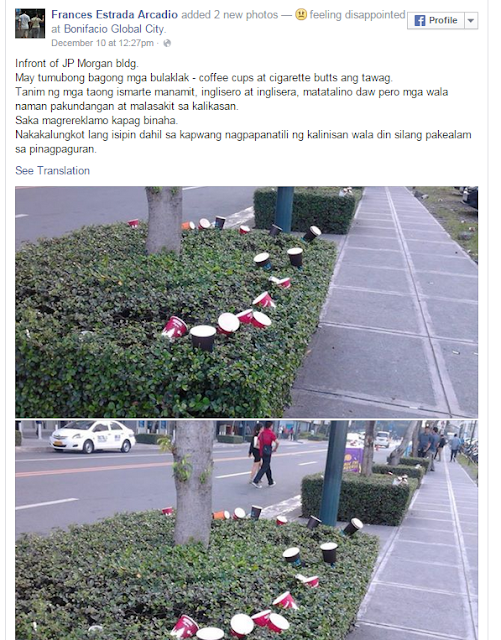 Last December the attention of call center employees has been called out by a netizen due to lack of discipline in terms of proper waste disposal. 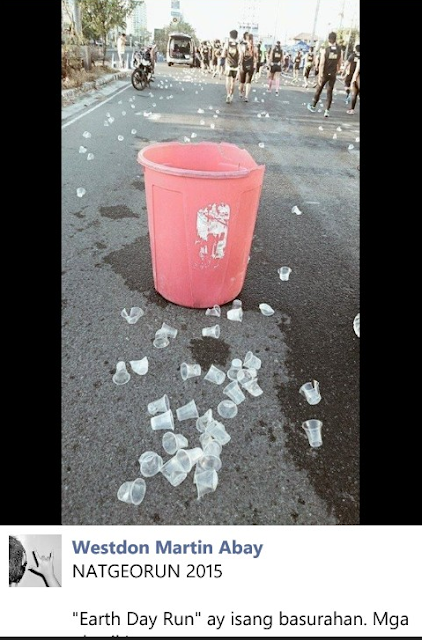 To be fair, the behavior is not limited to call center employees, check out the photo below during the earth day run where plastic cups were thrown everywhere. 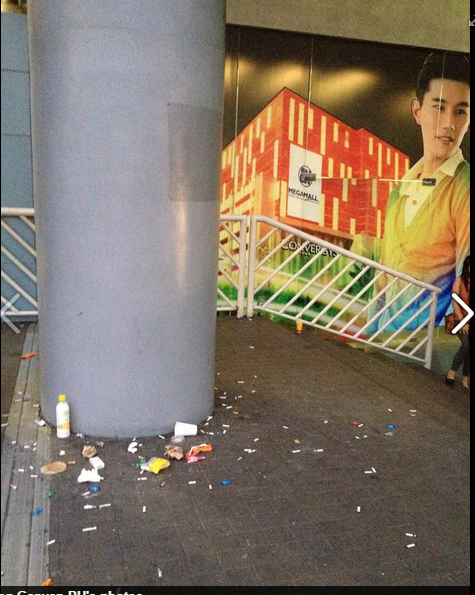 Let this be a reminder to us because according to the Rules and Regulations of Republic Act No. 9211, Otherwise Known as the Tobacco Regulation Act of 2003 there are sanctions for violating the No Smoking policy. How much is the penalty for violating the No Smoking Policy?  3rd offense: Php 5,000 - Php 10,000 and cancellation/revocation of franchise or business permit. 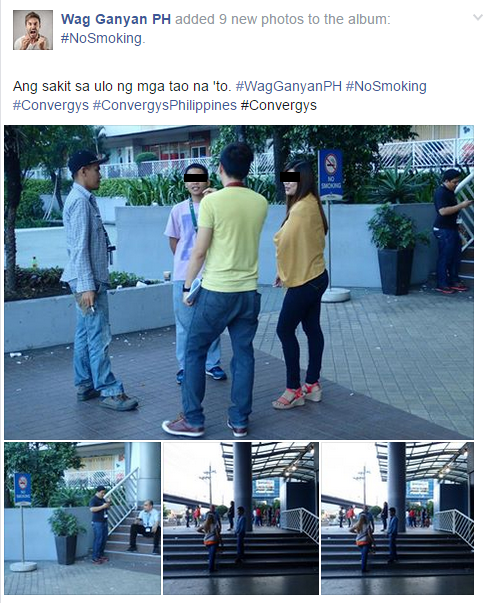 Kudos the the company because based on one of the comments Convergys have provided designated smoking areas for its employees.